How can we become ecologically intelligent? ‘Yes Naturally’ is a large-scale, inspirational extended exhibition in and around the Gemeentemuseum in The Hague, in which artists invite us to let go of preconceived ideas about nature, culture and technology. 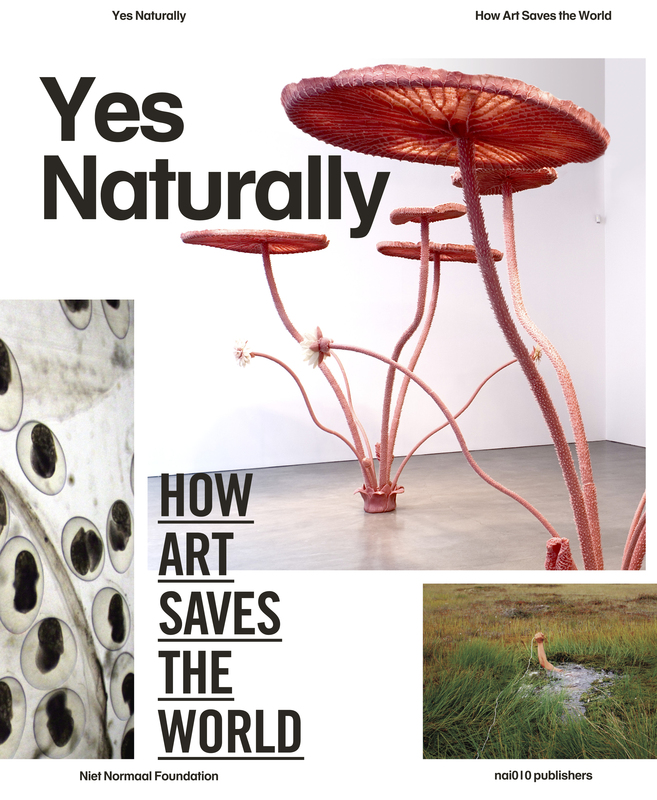 The richly illustrated publication Yes Naturally presents works by more than 80 artists, including Francis Alÿs, Jimmie Durham, Olafur Eliasson, Damien Hirst, Zeger Reyers, Superflex and Ai Wei Wei. Yes Naturally is about relationships – existing relationships as well as new forms of cooperation – and sets inclusion and reciprocity as necessary conditions for a better world. In the process Yes Naturally gives not just a signal but also a model to follow. Artists make us look differently at ourselves, our society and our relationship with the Earth. When the central position of human beings is put in perspective, non-human players enter the picture, like animals, plants and bacteria. Nature and culture reinforce each other. In a critical and playful way – from self-thinking bacteria to highways for bees – Yes Naturally addresses a current and socially relevant question: How can we become ecologically intelligent?